Work got you down? Singing the office blues? Well, if you work at home, maybe it’s time to stop singing the blues and start painting your office….in shades of blue! I recently read that people are more productive in blue rooms. So if you want to get more done in less time, I suggest taking cues from this beautiful office designed by JLV Creative. Take a look at the five different tutorials I’ve found to get the look of this pretty blue office for less. I know I’ve said it already, but I am so grateful to have my very own studio where I can craft and create. I highly recommend taking a look at your home with fresh eyes, and try to find a spot–even a small one–to become your own creative space. For a little extra incentive to do so, check out this funky yet lovely office that I found at House of Turquoise by Olive Interiors. 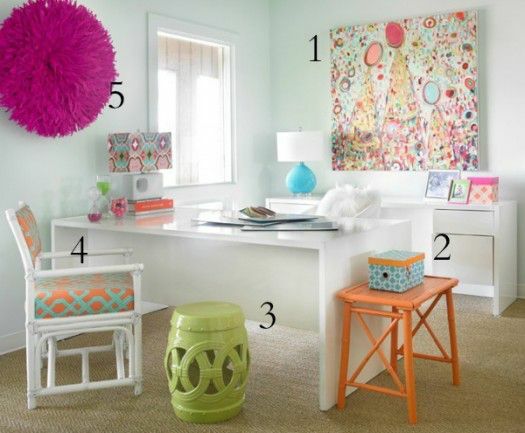 I love the way the pale walls and desks in this room serve as a clean canvas for the color drenched accessories. Check out all the ways you can get energized look of this office for less. I like to keep the decor in my home fairly casual and kid-friendly, but I have to admit to dreaming just a little bit about rooms like this one. I kinda love all that beautiful trim work, the eclectic yet elegant furnishings, and the fun punches of color. This is a beautiful room that manages to look formal without feeling fussy or unapproachable. I’m confident you can get this look for less. Check out the DIY tutorials I found to replicate 5 elements of this room. 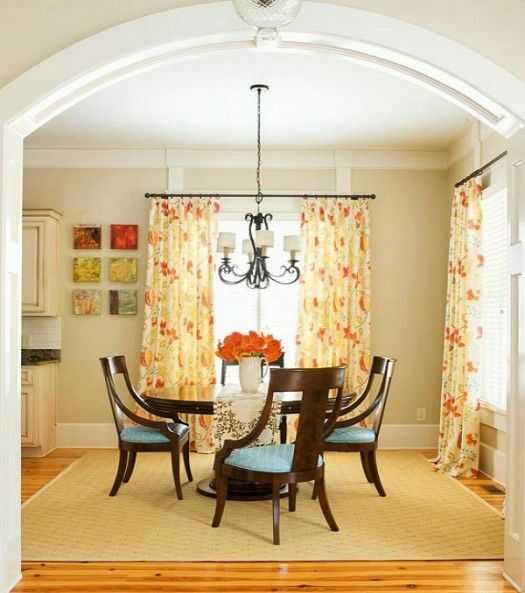 Just because a dining area is part of the kitchen doesn’t mean it can’t be as pretty as a separate, formal dining room. Casual doesn’t automatically mean frumpy or boring! I found proof of that in this inspiration photo from Better Homes & Gardens. I challenged myself to find 5 DIY projects to recreate this look.